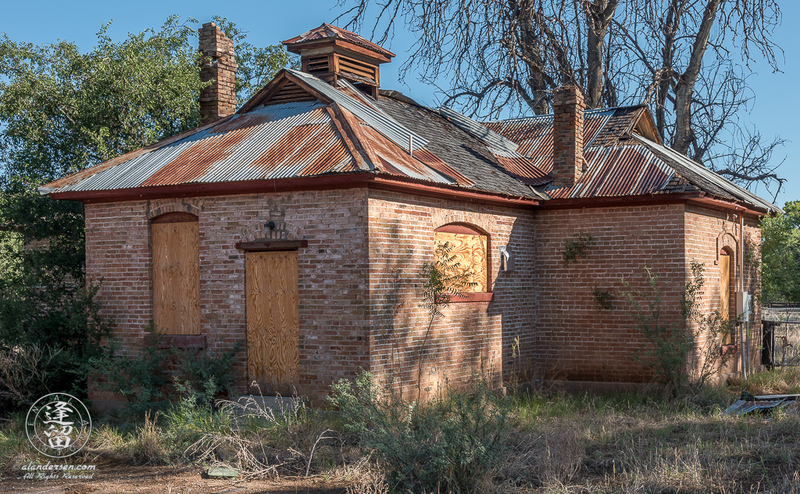 The Commissary, circa 2016, at the Lil Boquillas Ranch property situated in the San Pedro Riparian National Conservation Area near Fairbank, Arizona. This view is taken from the back of the Commissary. The Smokehouse is off frame to the left. The opposite side of the building has a front door, which faced the Foreman's House, which is no longer there. The door on the far right provided access from the Main House which is off frame to the right.